Posted on 07/11/2018 at 02:48. When you walk into the biggest square in the world, you can expect the place to be really windy. It is a must visit place for all the kite lovers in the world. If you are indeed doing a tour to Beijing simply because you want to fly kites, then the Tian’anmen Square should be the first name on your list. You get kites of a variety of designs here. Starting from kites designed like animals to swallows to dragons, there is a never-ending list of design that you will be able to choose from. Even if you are a newbie, you will be able to learn the art of kite flying here. 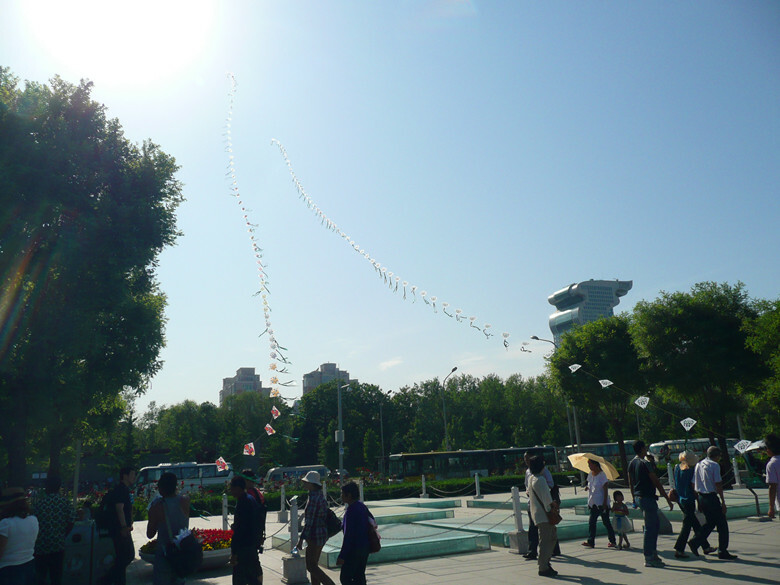 Once you reach the Beijing Olympics Forest Park, you not only step into the ideal kite flying location in Beijing, but you also get to breathe the freshest of air in the world. This park is larger than the Summer Palace and Yuanmingyuan (the old Summer Palace) combined. So, you can imagine how huge the place is and what a wonderful sight it will be when your kite goes and flies in the air. Since this place is slightly away from the main city, most people come here to have a peaceful time. You will also get partners to fly kites here as there are hundreds who come just to fly kites. Although this is a complex for religious buildings, there is a huge amount of open space in front of the building that is ideal for kite flying. It get a huge amount of air and you will be literally hanging on to your kite struggling to control it in the air. Since this is a religious area, you will find lots of visitors coming to visit the temple of heaven. However, this is one of the spots for flying kites too. So, there will be a significant number of people who will be engaged in kite flying and you can be one of them. When it comes to beautiful locations to fly kites in Beijing, there is hardly any doubt that The Ming Dynasty City Wall Relics Park will come second. This park is just in front of a lake and it is very windy. It has the perfect setting for flying kites with the lake on one side while the park is on the other side. There are numerous kite stores nearby from where you can get an ample number of kites. 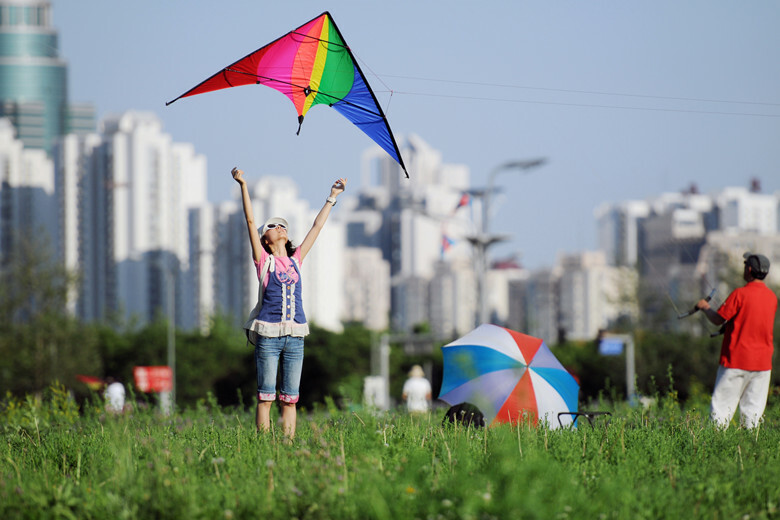 Haidian Park is an amazing place where you can enjoy kite flying to your fullest. It holds different music festivals throughout the year. Since the area is huge, it is ideal for kite flying. In fact, there are kite flying competitions that are held here every year. If kite flying is your passion, then these are the places that you should be. You don’t need to carry kites here because there are local kites that are almost equal to show-pieces.